This final term of year 3 will be dedicated to learning all about 'Lincoln'. As part of this topic the children are very excited to visit the Lincoln castle on Wednesday 1st July. They will be learning all about how Lincoln has changed over time and the significance of the Magna Carta. In Literacy the children will be studying various legends such as Robin Hood and King Arthur and they will even be creating a Robin Hood dance in PE! They will be making a moving dragon using pneumatics in DT. Our topic was 'Savage Stone Age'. Yabba Dabba Doo! 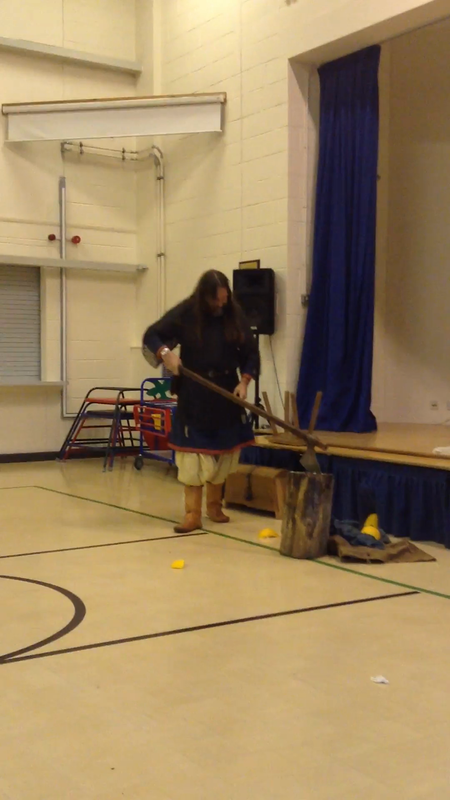 The children really enjoyed this topic, learning about how the stone aged people survived. They watched clips of some favourite films such as the croods and flinstones and used these to support their literacy work where they wrote adventure stories. We have been reading extracts from Stig of the Dump and Stone aged boy. The children have really enjoyed learning about cave paintings and their meanings and got very messy making a paper mache model of a cave! In term four, our focus has been on Britain, learning about it's multi-culture that makes it so brilliant! This term, we are learning about the country of France in our topic, ‘Vive La France’. We have used many skills including literacy, numeracy, art and geography to produce fantastic pieces of work- our teachers are very proud! We are looking forward to our French themed day on the 12th February where we will make crepes, take part in a Tour De France and celebrate our learning with our parents. To find out more about what we have been up to this term, please click on the link below. This term, we are learning about The Vikings. We are looking forward to battles, designing and crafting longships and carrying out an archaeological dig! Click on the link below to find out more. We are really pleased with how the children have settled into Year Three. We have been working extremely hard! We have been learning about the African culture with a focus on its animals, music and artwork. Click on the link below for more information. Mrs Finnegan and Mrs Casserley are sharing the role of Year Three teacher, Mrs Casserley will work Monday, Tuesday and Wednesday's and Mrs Finnegan on Thursday and Friday. Miss Dawson is new to the school and is looking forward to working with the staff, children and their parents. She will be teaching class 3b. Mrs Bolton and Mrs Dunham are on hand to support in Year Three. We loved learning about Viking weapons!